A woman found a note on her dress saying ‘Forced to work exhausting hours’. PRIMARK SAYS THAT a label found on one of its dresses which appeared to come from a factory employee working in difficult conditions is a hoax. The Irish retail giant began an investigation after a customer discovered a label on a dress she bought in Swansea which read ‘Forced to work exhausting hours’. Rebecca Gallagher, 25, told the South Wales Evening Post that she feared the clothing was made by a worker toiling in a sweatshop. However the company – which operates as Penneys in Ireland and Primark everywhere else - said it believed the label was likely to have been a hoax, pointing out that an exhibition of similar labels was held in Swansea last year. Primark said that a second identical label was found on another garment in Swansea. The label was exactly the same as the first, despite the fact that the two items of clothing were made in different countries. “It is almost impossibly to imagine circumstances in which such similar labels could have been sewn onto the garments at the factory where they were made, given that they were made by different suppliers, in different factories, on different continents, one in Romania and the other in India, thousands of miles apart,” a spokesperson said. It may be no more than a coincidence that an exhibition of labels of a similar kind was held in Swansea, also in 2013. Visitors were encouraged to sew labels, using similar wording and appearance to the hoax labels, onto clothing. A third label found on a pair of cropped trousers in Northern Ireland is still being investigated. 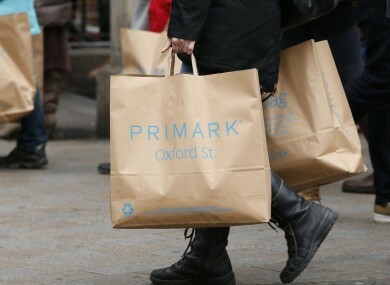 Primark said that it places “the utmost importance on the well-being” of workers. Email “Primark says that hidden message stitched onto a dress label was a hoax”. Feedback on “Primark says that hidden message stitched onto a dress label was a hoax”.